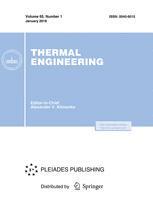 Abstract: The paper summarizes the status of safety system development for supercritical water cooled reactors and thermal-hydraulic codes required to analyze them. While active safety systems are well-understood today and expected to perform as required, the development of passive safety systems will still require further optimization. Depressurization transients have successfully been simulated with some codes by a pseudo-two-phase flow simulation of supercritical water. Open issues of thermal-hydraulic codes include modeling of deteriorated heat transfer in one-dimensional system codes and predictions of heat transfer during depressurization transients from supercritical to sub-critical conditions. Bellissent-Funel, M.-C.; Tassaing, T.; Zhao, H.; Beysens, D.; Guillot, B.; Guissani, Y.